Pro JYM is out! Click the image to sign up for price alerts and see the best price! 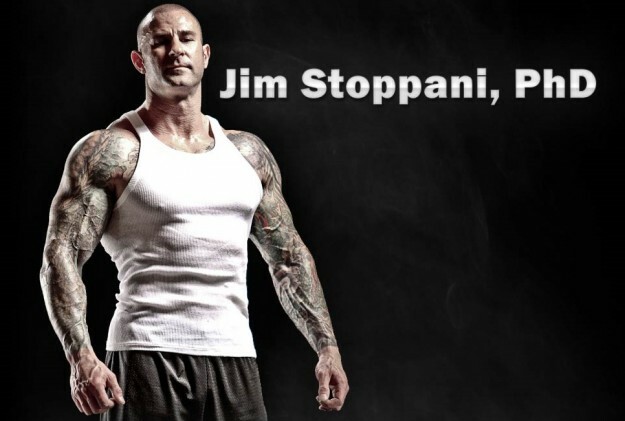 Jim Stoppani’s Pro JYM protein powder has been released! This release comes with perfect timing, since the recent amino acid spiking scandals and subsequent class-action lawsuits are leaving consumers with less and less 100% trusted options for protein powders that have legitamite amounts of dietary protein, as claimed on their labels. While we haven’t yet seen any lab results from Pro JYM proving otherwise, we trust the brands created by Bodybuilding.com, and this seems to be one of them. In the time since first writing this article, however, some of Jim’s credibility with the industry has unfortunately come into question, due to the events described in the Jim Stoppani Scandal article linked above. Click here to sign up for price drop alerts on our product page, or better yet, click here to sign up for alerts on all of Jym’s products. Update: Pro JYM has sadly been removed from our Best / Top 10 Protein Powder chart. Pro Jym is simultaneously both “clean” and “dirty” at the same time, and we think it will make a best-of-both-worlds combination of taste and protein quality. This makes it clean because there’s none of the cheaper whey concentrate in here, which would provide more lactose. Whey concentrate based products give more side effects to users who have any lactose intolerances/sensitivities. But that won’t be much of a case with Pro Jym. Jym is one of the rare few product lines to give the specific breakdown of each protein inside. We now know that whey protein isolate is not pixie dusted like it is in several other mixed products, and the balance between this and the casein will be quite nice. The industry is trending in this direction of mixed protein powders. Milk protein isolate contains mostly casein, so it’s probably going to be rich, thick, and taste really good. However, too much casein is too thick, and whey protein has a better amino acid ratio – so Stoppani is wisely balancing things out here. With the added fats (discussed below), we’ve got to believe this is going to be one incredible-mixing protein. At the end of the day, both are good for separate reasons (as is egg, which some consider “nature’s perfect protein”), so why not have them all? And with Pro Jym, that’s what you get. When it comes to the whole “whey vs. casein” battle, realize that they’re not mutually exclusive, and “both” is very potentially the best answer! One note: if you have a casein allergy, you know full well to stay away from this one! Nondairy Creamer (Sunflower Oil, Corn Syrup Solids, Sodium Caseinate, Mono- And Diglycerides, Dipotassium Phosphate, Tricalcium Phosphate, Soy Lecithin, Tocopherols). 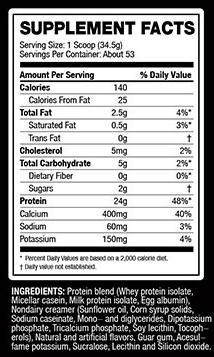 Guar gum, Lecithin, and Silicon Dioxide are also on the label. As mentioned above, these ingredients will likely provide some downright amazing texture, especially when mixed with the milk protein isolate. But it does seem like a greater than average number of thickeners/emulsifiers. Depending on our diets, most of us don’t really care, especially if it gets us closer to achieving our daily protein macros. Also note that if you get flavors like S’Mores, there’s also some extra stuff like marshmallow bits, as shown on the label. To that, we salute Dr. Stoppani – marshmallow bits rock! In terms of sweeteners, you have the mix of acesulfame potassium (also known as “Ace-K”) followed by sucralose (Splenda is made from sucralose). We like these sweeteners, and we like them best in this order too, so it seems like Jim’s tastes align with ours. The product is so fresh, there are no reviews out there as we write this. We’re going to see about getting some Pro Jym in hand and doing an unbiased review showing how it mixes up (preferably in water). 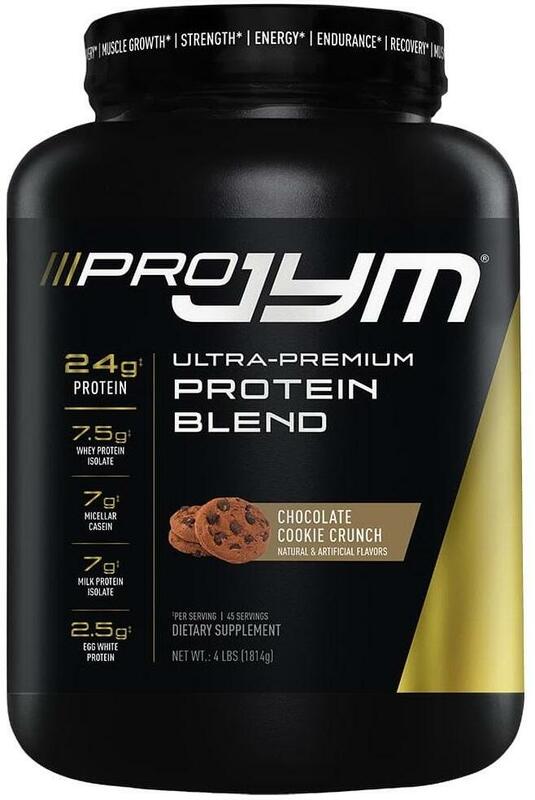 As with the other products from the Jym Supplement Science line, this isn’t going to be as inexpensive as some of its competitors (as I write this, you’ll currently get it for 21g of protein per dollar, which is middle of the road value for an isolate-based powder). Once in a while, BB.com will have coupons that can be applied to this product. This is when you can load up. To catch these, be sure to Like us on Facebook and Follow us on Twitter. With all of the nonsense we’ve had in the protein category lately, if there’s anyone who deserves to make a few bucks off of their protein, it’s Jim. After all of the free content he’s provided us over the years, including his Shortcut to Shred series, he’s earned it. If you want 24g of protein, you want it to taste good, and you want to trust that it’s really 24g of protein, this is the man to trust. Well, this post was a lot longer than planned! If you have anything to add, drop a comment below! No Comments | Posted in New Products, Supplement News | Tagged Casein Protein, Jim Stoppani, JYM, Milk Protein Isolate, Protein Powder, Whey Protein.